SEPTEMBER 2--Police have charged a quartet of women in connection with an attack last week on a 16-year-old McDonald’s employee who was pulled through a drive-thru window and beaten outside the Louisiana restaurant. 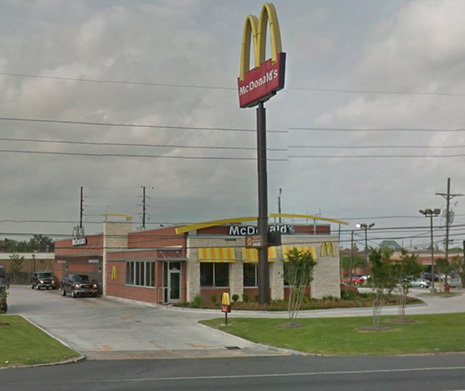 As seen above, video of the attack was shot by a passenger in a vehicle that pulled up Wednesday night to the drive-thru window at the McDonald’s in LaPlace, a city about 25 miles west of New Orleans. 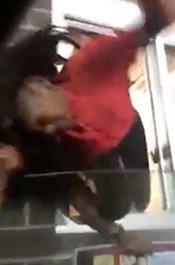 The clip surfaced online days after the August 26 incident. Police today announced the arrest of Kailin Holland, 17, for felony battery. Pictured at right, Holland, who is accused of pulling the victim through the drive-thru window, was released from jail on a $10,000 bond. 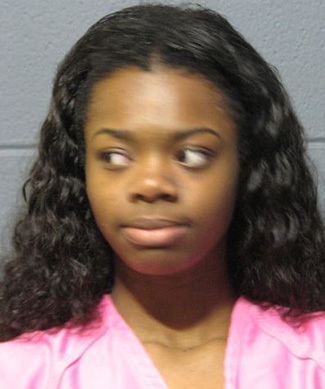 After exchanging words with the victim, Holland grabbed the teenager by the hair and yanked her through the drive-thru window. The victim struck the side of the vehicle--and may have broken the driver’s side window--before landing on the ground between the car and the eatery.